Novelist S. D. Perry discusses her Resident Evil books, writing, and the trials and tribulations of adapting interactive screens to static pages of text. Most gamers loathe game-to-movie adaptations, and for good reason. Directors rarely treat source material with the reverence it deserves, resulting in movies so bad even diehard fans of the games that influenced them refuse to acknowledge the silver-screen adaptations. 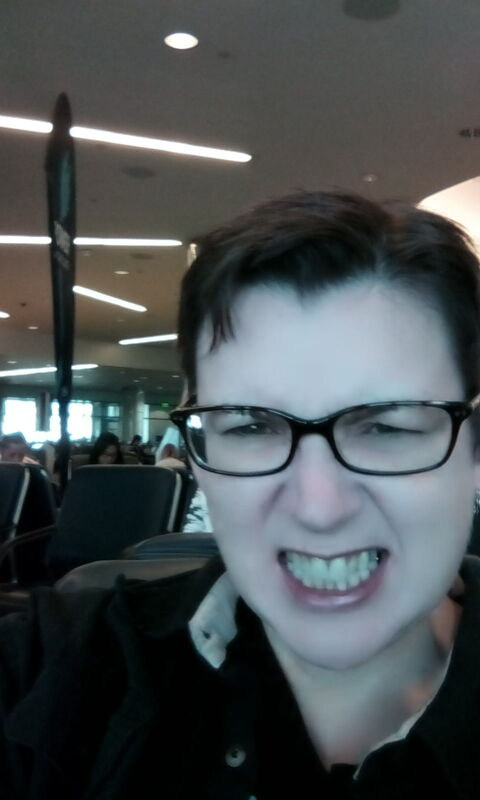 S. D. Perry hanging out in an airport terminal. Game-to-book adaptations are a different beast. Just like bookworms who squirm and sizzle when TV and movie adaptations of their favorite yarns dare to stray from the book, gamers want to see their favorite scenes and characters play out on the page exactly as they did on their consoles and PCs. Yet there’s a balancing act of which many readers are not aware. Jane Jensen’s novelization of the first Gabriel Knight game, penned by the game designer herself, was almost a one-to-one recreation of the game, resulting in puzzles and sequences that felt bogged down. Some things work better in one medium than another. To fans of Resident Evil, Stephani Danelle “S. D.” Perry proved herself as an author capable of determining what elements of Capcom’s survival-horror series worked on the page, what needed to go, and what needed a makeover. Perry wrote seven novels in total—five that covered in-game stories such as Resident Evil 2 and Resident Evil – Code: Veronica, and two that came straight from the author’s imagination. As a huge fan of the novels, I was honored when S. D. Perry (do not call her Stephani!) accepted my request to answer some of my questions about her Resident Evil books, her writing career, and the trials and tribulations of adapting interactive screens to static pages of text. What led you on the path to writing? Was writing full-time something you wanted to do, or did you stumble upon it by accident? I started keeping a journal when I was 10, so I grew up feeling comfortable writing. My father is a writer, too, so I always felt like it was a job possibility. I started writing poetry and stories when I was a teen and my dad would tell me to send them out, try to sell them. So I kind of fell into it, but I also had a lot of practice and encouragement early on. Your father, Steve Perry, is an author as well. How has he influenced your writing? I don’t think I would have become a writer if my father wasn’t one. When I was in my early 20s, he offered to collaborate with me so I could get money for school. We did two books together and my career (such as it is) took off from there. He also taught me how to write action. Do you play many video games? How would you describe your level of interest in the gaming scene? I played a lot in my 20s and 30s. At the ripe old age of 45, with two kids in the house, I usually have other stuff to do. I play apps on my phone, mostly. Boring, but easy to put down. My sons are the gamers. Perry played most of the original Resident Evil before signing the contract to adapt the games to novels. Capcom sent her strategy guides to use as reference materials while adapting later games such as RE 2 and 3. You’ve written several tie-in novels over the course of your career, and not just for Capcom’s Resident Evil games. How did you get started in the tie-in space? Props to my dad. He wrote tie-ins, and offered to share a byline with me on an Aliens book, for Dark Horse Comics. We did two of them, and then I started doing my own tie-ins—a couple of movie novelizations, more Aliens stuff, then into RE and Star Trek, among others. 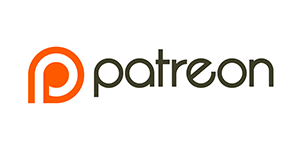 One assumes that tie-in novels could prove critical to helping an author gain exposure, since consumers are already very familiar with licensed properties such as Resident Evil and Aliens. Did you find that to be the case with your work? I’ve written tie-ins/novelizations for my whole career, so my fans are usually fans of those franchises. Have I gained exposure? I wouldn’t say I’m famous. Resident Evil and Aliens and Star Trek are famous. I’m just a semi-talented hack. Without getting into specific numbers, how well did tie-in novels pay when you wrote the Resident Evil and Aliens books? Does that market still pay about the same, or has it gotten better or worse? I wrote all those books for a flat up-front fee and occasionally a percent of a percent of royalties; that’s usually how it is when you’re writing in someone else’s universe. I was offered between $8,000 and $12,000 per book. So I got paid to write them, and if they did well, I sometimes saw a few hundred dollars here or there later on. The RE books definitely had the best royalties, but they dried up years ago. When the series was reissued a few years back—by a different company, which had leased the publishing rights—no one even told me. Sorry, I’m wandering from the question. I have no idea what the market pays now. For writers in my bracket, $8k-$12k is still pretty good, I think. That’s about what I got on my last big project, a year ago. I know that the bigger franchises—Star Wars, for instance—pay a lot more. 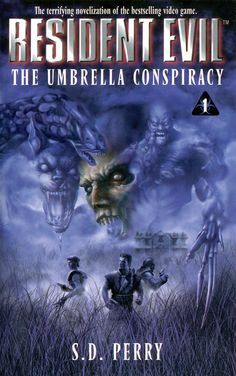 “The Umbrella Conspiracy” is based on the original, PS1 version of Resident Evil released in 1996, rather than the remake that premiered on GameCube in 2002. What do you enjoy most about writing tie-in novels? What do you enjoy least? I most enjoy trying to capture the flavor of the property—the game, comic, script—and put it into words. I mean, the stuff I write about has fans for a reason. I consider it part of my job to find that reason and write as a fan. I like working with characters that someone else has created, trying to keep them consistent; it’s a challenge, which is fun. Least? Tight deadlines. And lack of serious royalties. But that’s the nature of contract work. Let’s talk Resident Evil. How familiar were you with the series before writing the books? Only the first game was out when I was first contacted; the second was about to be released. I had gotten the game months after it came out, and was still in the mansion trying to kill the giant snake when I got the call. How did you get the opportunity to adapt the games to novels? A bright young editor at Simon & Schuster had gotten the publishing rights for Resident Evil and was looking for someone to do a few books. He contacted my dad, first. My father was busy, but mentioned that his daughter was a fan of the game and had published tie-ins. The bright young editor—Marco Palmieri—contacted me, and I said heck yeah. 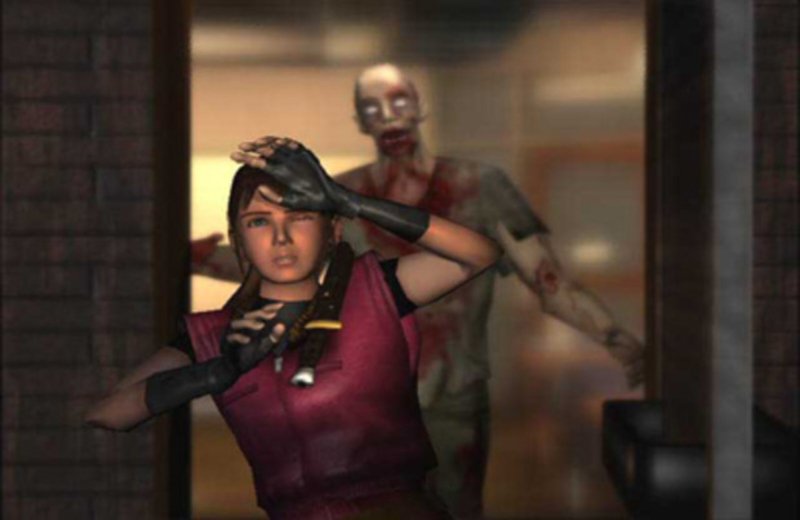 Perry adapted many scenes from the games–such as Claire’s shock and horror upon entering a Raccoon City diner and finding a zombie feasting on a corpse–verbatim from the games. Before you started, what guidelines did Capcom set down? For example, were you required to work with certain page counts? Did Capcom mandate that certain events take place? Capcom had very little involvement in the books, and only ever contacted my editor. In the initial pitch, I’d done some back story on the mansion, and they asked me to leave it out because they had their own back story. Other than that, I don’t believe they had much to say. In Resident Evil: City of the Dead, which follows the events of Resident Evil 2, you had Ada Wong find the heart key hidden in the statue located in the RCPD lobby, rather than have Leon or Claire search it out. How much creative control did you have in choosing which in-game events to adapt exactly as they occurred, versus which ones you had to cut (such as the “push the bookshelves around” puzzle in the library of RE2) or alter? If I’d just novelized the games, I would have had 300 pages of the same two characters running back and forth to solve puzzles. I had to have creative license to move the story along, and give the other characters something to do. I had pretty much complete control over the decisions; my editor was happy as long as I was including the bigger puzzles and keeping it entertaining. Regarding creative control, how much say did you have in each book? I imagine that, when adapting one of the games, your parameters were well-defined: this is how the game starts, and this is where it ends. I wasn’t given a whole lot of direction. This was back in the mid-90s, and video game novelizations weren’t all that big yet. So I winged it. I did it the way a fan would, the way anyone would—followed the events as they happened and told the story that went along with it. My editor added some stuff in—the mysterious Trent was his idea, for example—but I did the rest. 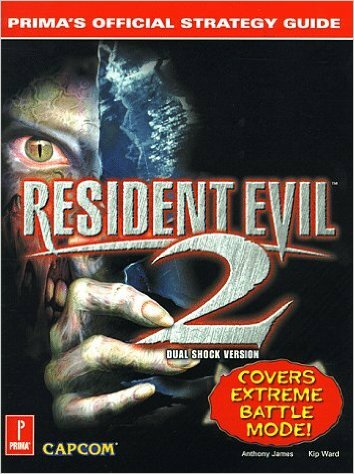 Books 2 and 4 in Perry’s Resident Evil series featured brand new stories that bridge events between the books that followed in-game events. Did Capcom provide you with any materials for you to reference while writing? For instance, you did a great job recreating many iconic environments such as the police station in RE2 and the Spencer Estate in RE1. Did you have screenshots or other documents to reference when describing those areas? They sent me a few character shots for the second game. Other than that, the only reference materials I got were game guides, from my editor. For the first game, I just played it every time I had a question about some detail. By the time I finished the book, I could complete the whole game in less than two hours. For me, that was an achievement. I also used the VCR to record the game while I played, so I could find what I needed for a given scene. 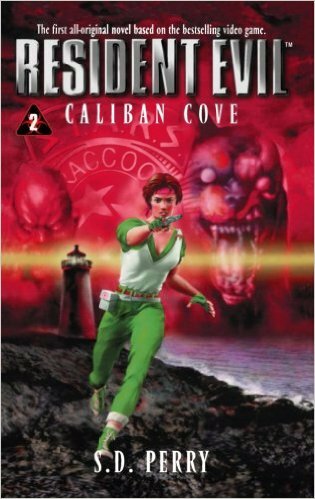 The second and fourth books in your series—Caliban Cove and Underworld, respectively—were unique stories never before told in the RE universe. Did Capcom supply outlines for those, or did you come up with the premise yourself? Those were me. I pitched them to my editor and he said go for it. One aspect I loved about the RE books was that you took the time to flesh out non-playable characters (NPCs) such as Chief Irons and Annette Birkin from Resident Evil 2. Was it your choice to write from the perspectives of those characters, or did Capcom ask you to do that? Capcom really wasn’t involved. Like I said earlier, I had to fill pages with more than just solving puzzles, so I used the non-POV characters to move the story along. And thanks! I’m glad you liked it! In part 2 of “Writing Pictures,” S. D. Perry returns to talk about topics such as the cheesy tone of early RE games, how she made the books as intense as the games, and why Caliban Cove is her favorite installment in her series of books.